Today’s Nintendo Direct video presentation included a new Marvel Ultimate Alliance 3: The Black Order trailer, featuring Captain Marvel as one of the playable characters in the video game. You can check out the trailer now below! 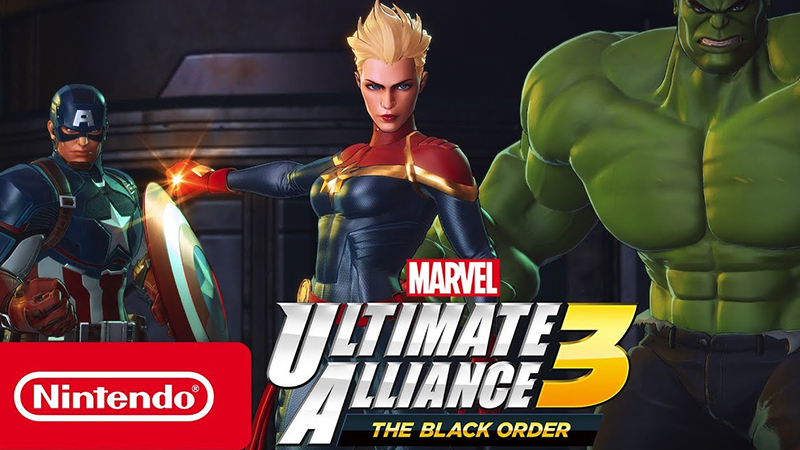 Marvel Ultimate Alliance 3: The Black Order: For the first time in 10 years, the Marvel Ultimate Alliance series returns with four-player action and an original story, all exclusive to Nintendo Switch! Assemble your dream team from a huge cast of Super-Heroes, including Marvel’s ultimate cosmic protector, Captain Marvel. Previous Nintendo Reveals Mario Maker 2, Link’s Awakening Remake and More!